Before joining Arsenal in 2006, he’d won silverware with each of the other clubs he had played for. He has been named the footballer of the year for his county three times where he has also earned 72 caps. 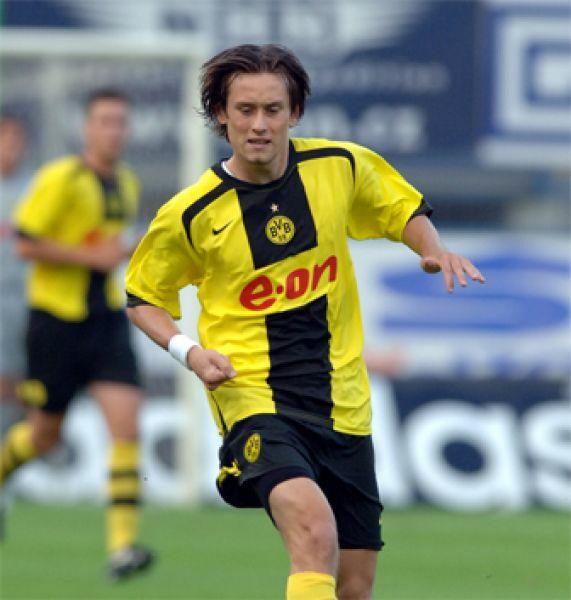 I’m talking of course about Tomas Rosicky. It’s easy to overlook our “Little Mozart” given the fact he missed much of the 2007-2008 season and the entire 2008-2009 season. Add to that the fact that Le Boss treated Tomas with kid gloves last season (and rightfully so, I might add) and you can say that Rosicky has really only had one season at Arsenal, 2006-2007. When healthy (there’s the rub isn’t it? 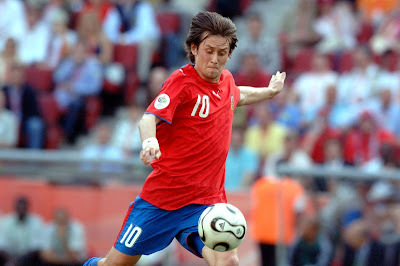 ), Rosicky provides an energy, pace and intelligence to the team that few others can. He is quick thinking, attack minded and has the ability and vision to deliver sublime, defense-splitting passes. He's a great decision maker, rarely gives up the ball and is not afraid to take a crack at goal. In addition, he does not shy away from the tough tackle, getting nasty when necessary, and helping out defensively. However, most importantly, he is one of the only players out there with actual winning experience. So finally it seems as if Rosicky is healthy and if last weekend was any indication, the man looks like he's ready to prove himself to his manager, teammates and the Arsenal faithful. I for one welcome his presence. I mean, let’s face it. Rosicky’s energy sparked the team. His crosses were excellent (lead to the goal) and if it were not for a spectacular fingertip save from Reina, Rosicky would have netted one himself. Tomas Rosicky: Out to prove the doubters wrong and the perfect partner for Fabregas. News of Nasri’s knee surgery was certainly not welcomed. But, the gloom and doom mongers who thrive on all things negative want you to believe that all is lost, there is no one to replace Nasri, and the season is over. Nay I say! Rosicky is reportably Fabregas' best friend off the pitch and, in my opinion, the perfect attacking partner for him on the pitch. Nasri's injury will just provide the opportunity for Rosicky to demonstrate his quality. I know I'll be wearing my #7 jersey this weekend.